“King Tubby a no miser, Tubby’s a the Dub Organiser” – Dillinger on Lee Perrys’ ‘Blackboard Jungle Dub’ LP. Earth shattering thunderclap reverb, interstellar space echoes, mind boggling delay, high pass filters – that’s what the world loves about Dub . 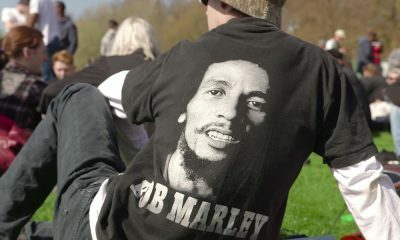 In the 21st Century the word Dub is associated with remixes, particularly dance music. 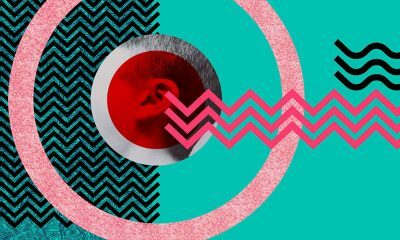 Modern techno, grime, house, dubstep tunes will often have a “Dub” edit or remix. 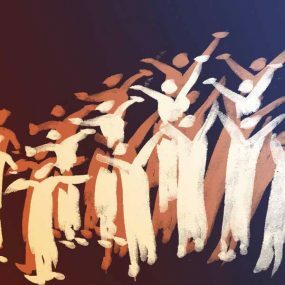 Its origins, invention, development and progression, like much in modern dance music, firmly owes Jamaica its dues. It was in the late sixties that the origins of ‘Dub’ can be traced. Sound Systems in Jamaica were the main form of entertainment, especially for the poorer classes who couldn’t afford Kingstons’ uptown clubs. Downtown in open air “Lawns” every weekend, and most week nights, outdoor dances would be held with the Caribbean starlit sky as the roof. Massive speaker boxes would be strung up and a selector on a single turntable would please the crowds with the latest hits. Competition was fierce for exclusive tunes and rhythms and so the first phase in the evolution of Dub came about because of this. Sound system owners as early as 1967 started going to the local producers of current hits to get their own ‘Versions’ of popular rhythms. These were really instrumentals, tunes with the vocal tracks removed; Rocksteady had replaced Ska in the dance halls. 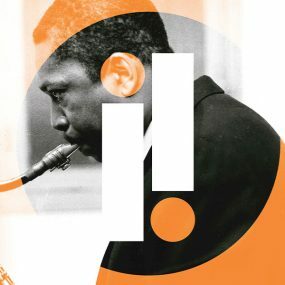 On Ruddys’ advice Duke Reid was soon putting versions on the B sides of his 45 singles. Before long nearly every producer and sound system operator was following in Ruddys’ footsteps. By 1970 nearly every B side would carry a ‘Version’. 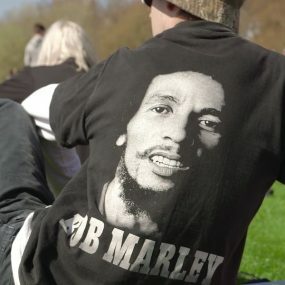 It was the demand for original mixes for the sound systems that helped Dub evolve – producers started experimenting more. Instead of just straight instrumental mixes, small snippets of vocals would be left in together with just a few bars of the bassline with the drums faded in and out. These features would leave space for live deejays (mcs/toasters) to improvise accordingly. 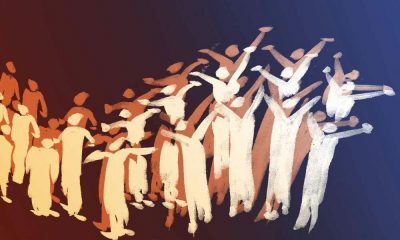 The crowds at dances went wild and the ‘Versions’ grew in popularity. At the start of the new decade producer Clancy Eccles released one on the first dub mixes on his Dynamite label – “Phantom” was a great remix of deejay King Stitts’ “Herb Man.” It was original in that it was reduced to its heavy bassline. This was done by Lynford ‘Andy Capp’ Anderson, an engineer who worked out of Dynamic Studios and their desk would become a true milestone in Dubs’ history. Dromilly Avenue, in the Waterhouse neighbourhood of Western Kingston, was where electrical engineer and sound system owner Osbourne Ruddocks operated from. 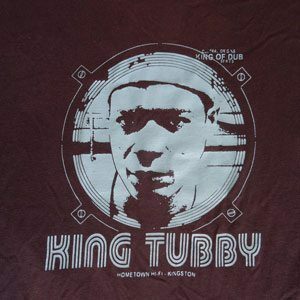 Known to the world as King Tubby, by 1972 his ‘Tubbys Home Town Hi-Fi’ was one of the leading sound systems on the island. This was greatly helped by having U-Roy as his principal deejay and the fact his equipment was of superior (albeit homemade) quality. He had a tiny studio in the back of his home with a dub cutting machine that would make the 10” acetate ‘specials’ for his own sound system. 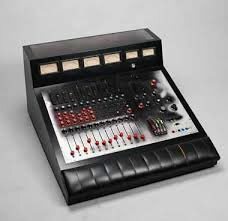 Bunny Lee made a deal with Dynamic Studios for Tubby to buy their obsolete MCi 4 track mixing board and so Tubbs’ career as a remixing engineer was born. Soon the who’s who of Jamaicas’ greatest producers were bringing their matertapes for Tubby to remix. People would buy new releases specifically if the B side had a Tubbys Dub/Version or “Tubbys Drum and Bass”. Bunny Lee was probably the man who really encouraged and utilised Tubbys skills the most at the beginning. Lee Perry who had been experimenting himself with instrumentals since his time at Studio 1 employed Tubby a great deal before building his own studio. Other innovative producers including Glen Brown, Kieth Hudson, Carlton Patterson and Niney the Observer made their way to West Kingston. For King Tubby the mixing desk became a true instrument. His electrical engineering skill enabled him to customise all his own equipment. Notably he made the faders smoother on his mixing console. 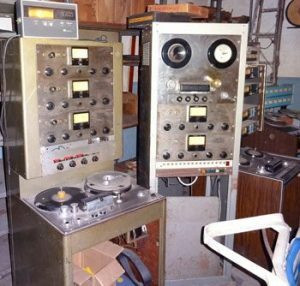 It was only a four track studio, this helped create the feeling and vibe as Prince (later King) Jammys once explained “we only had four controls to deal with, four slides (faders) to deal with. It was easier to mix with your slides instead of buttons. Nowadays you mix with buttons, because you mixing on a 24 track console. But music has to be a fast mixing thing-most of the instruments were already mixed on one track. So when you draw down like the riddim track, you draw down horns, guitar, piano and organ. So it was easier to mix it and faster. That’s why you got dub in those days so brilliant.” Mr Ruddocks’ pioneering use of tape delay, echo and reverb made for amazing dub textures and soundscapes. His 168 echoes per minute tape echo has been compared to the same effect as a sound bouncing off two mountains, standing 200 feet apart, that, mixed with the right intensity leave behind a trail of sound “like a blinding rush of blood to the head.” If that wasn’t enough his reverbs would assimilate cannon or gun shot fire in the distance (something tragically all too familiar to the residents of downtown Kingston). Tubby’s dubs were truly remarkable and have certainly stood the test of time. By 1973 it was time for the first entire dub albums to be released. Again like much of Dubs’ history it is disputed which came out first. 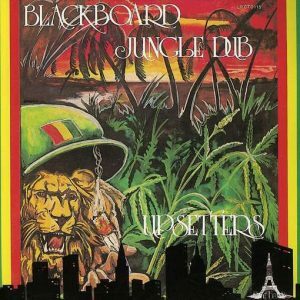 Lee Perry and King Tubby mixed the (still awesome) ‘Blackboard Jungle Dub” or “Upsetters 14 Dub Black Board Jungle” (if you’re lucky enough to have one of the first 300 copies). This was unique in that it was mixed in true stereo; one channel for the rhythm track and one for percussion and solo instruments to be faded in and out of. Perhaps earlier that year the second contender was Herman Chin Loys’ “Aquarius Dub” named after his uptown Kingston record shop. 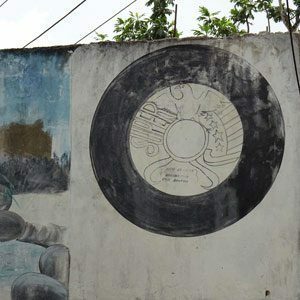 Situated in the Half Way Tree area this is where Dub legend Augustus Pablo’s melodica talent was first spotted and taken by Herman downtown to Randys’ Studio. This album features early cuts of Pablo’s “East of The River Nile” and “Cassava Piece” that was later dubbed into the all time classic “King Tubbys Meets Rockers Uptown”. Back to ’73 and the third contender for first Dub LP features Augustus Pablo also. 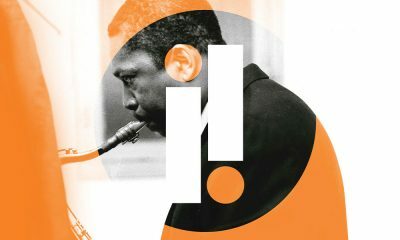 Named after the first hit he had for producer Clive Chin ”Java Java, Java, Java” was recorded at the Chin owned Randys’ Studio. This was engineered by another Dub pioneer Errol ’ET’ Thompson. Unlike Tubby, ‘ET’ had to push buttons on his mixing board to cut in and out of rhythm tracks. It may have been a less fluid form of mixing but he also experimented with the likes of tape rewinding and slowing up vocals. 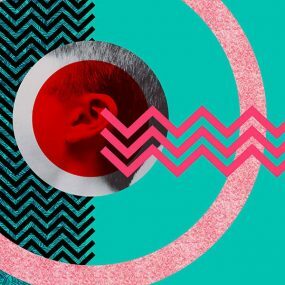 “ET Special” on the Java Dub album is a great humorous take on ‘dubbing’ as an apprentice tries to mix the tune and gets a lesson in drum and bass! A fourth and often overlooked contender is “The Message – Dub Wise”, arranged and produced by Ska and Rocksteady legend Prince Buster. 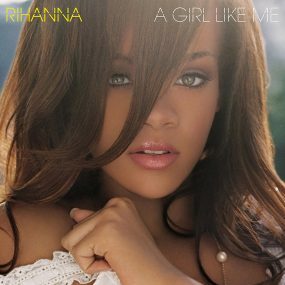 Allegedly it was recorded at Dynamics and mixed by Carlton Lee. It features some mystical flute playing and Aston ‘Familyman’ Barrett and brother Carlton of Upsetters/Wailers fame on bass and drums, also the upcoming ‘toaster’ Manley Augustus Buchanan aka ‘Big Youth’. 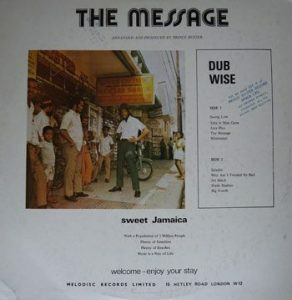 The original sleeve notes on “The Message-Dub Wise” include the words ‘*RAW*PURE*TRUE*NOT DILUTED Jamaican Rhythm Expresses the Feeling of the Jamaican People’ That sums up Dub perfectly! Whichever LP came first they paved the way for many, many more and heralded the golden age of Dub and its evolution.